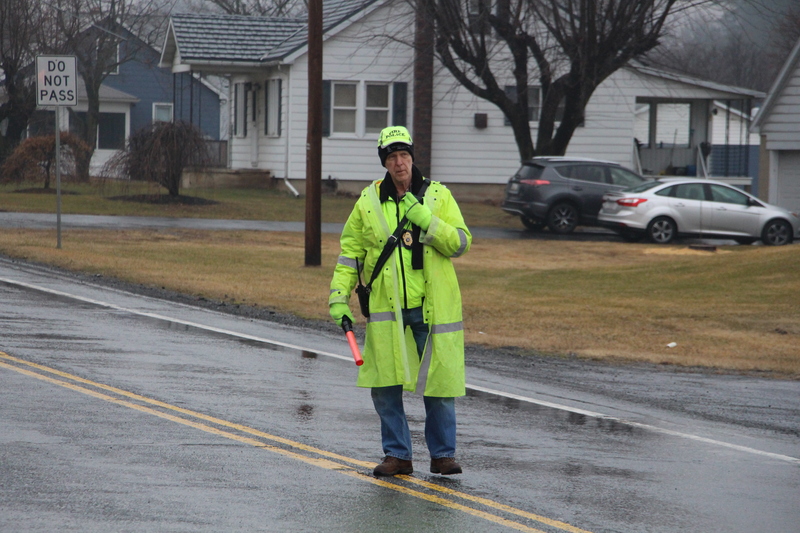 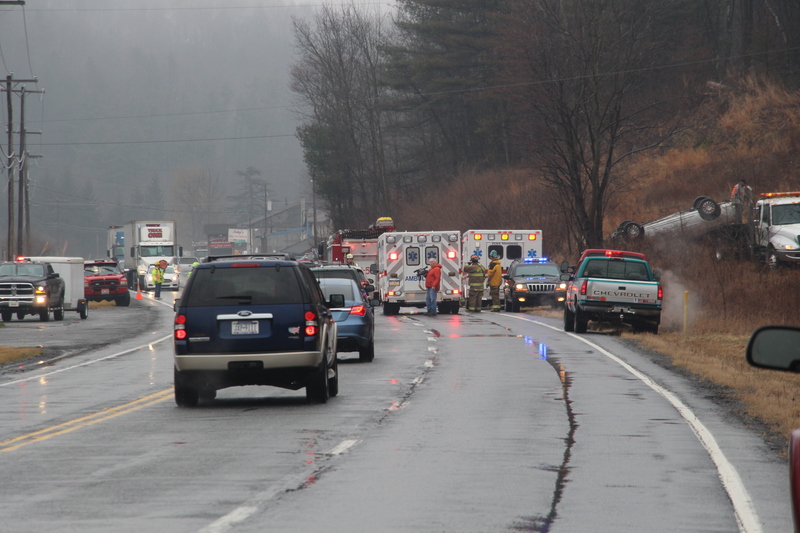 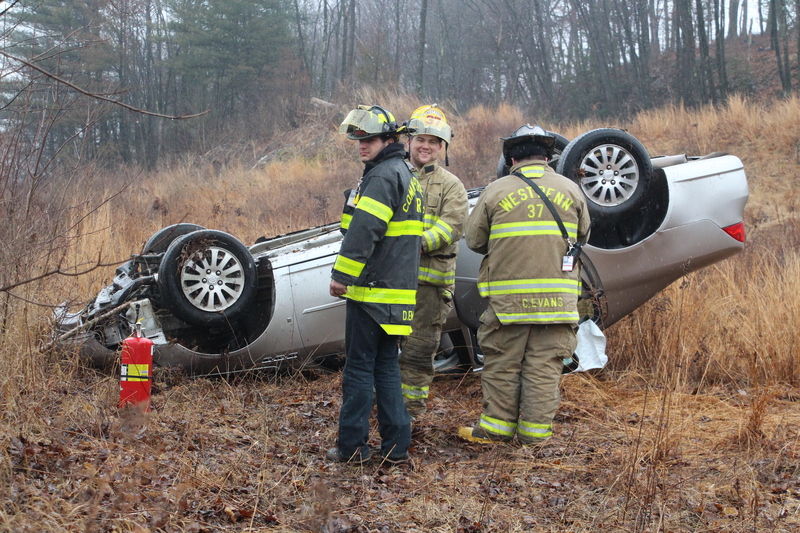 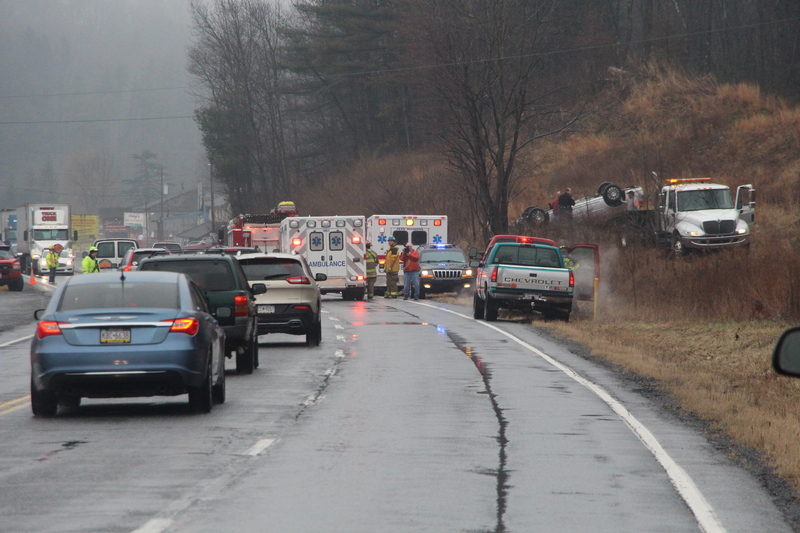 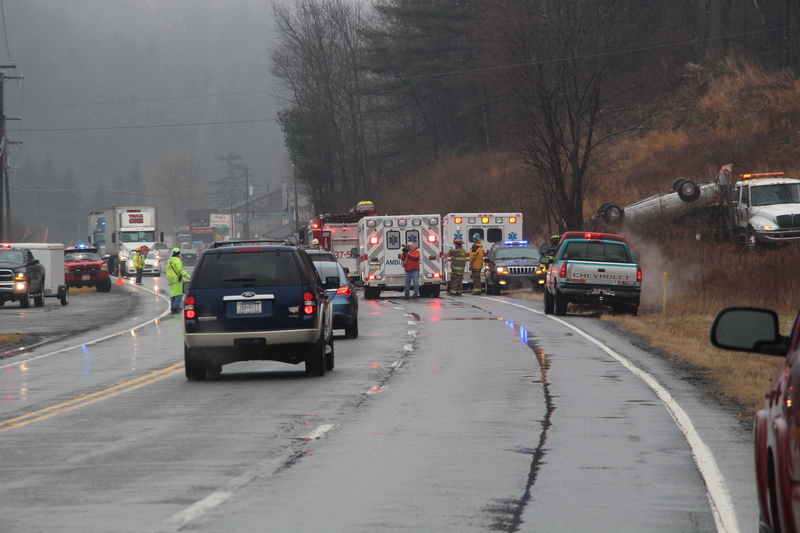 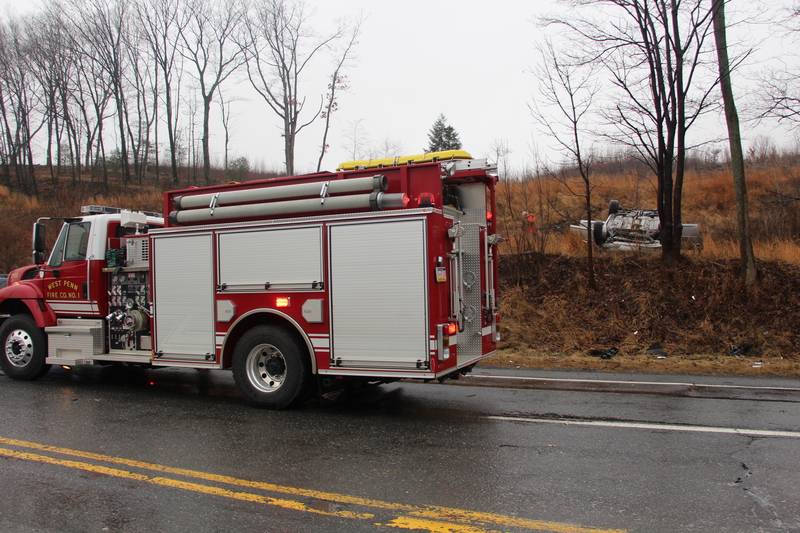 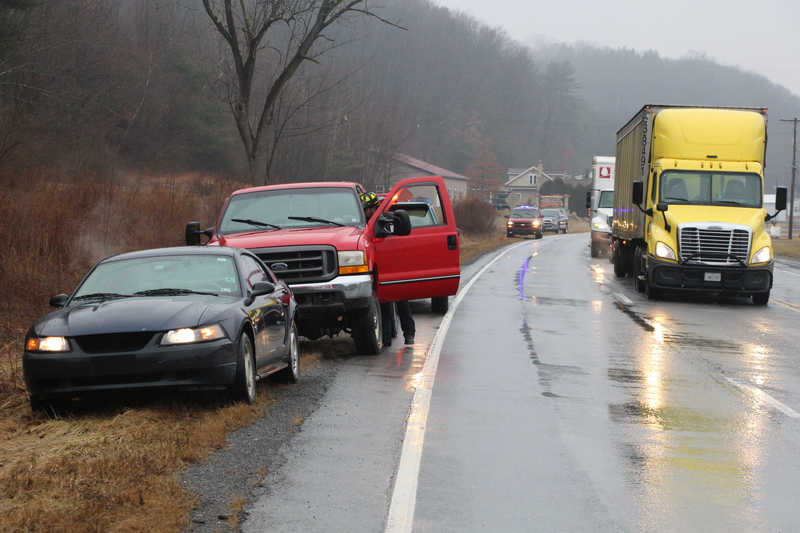 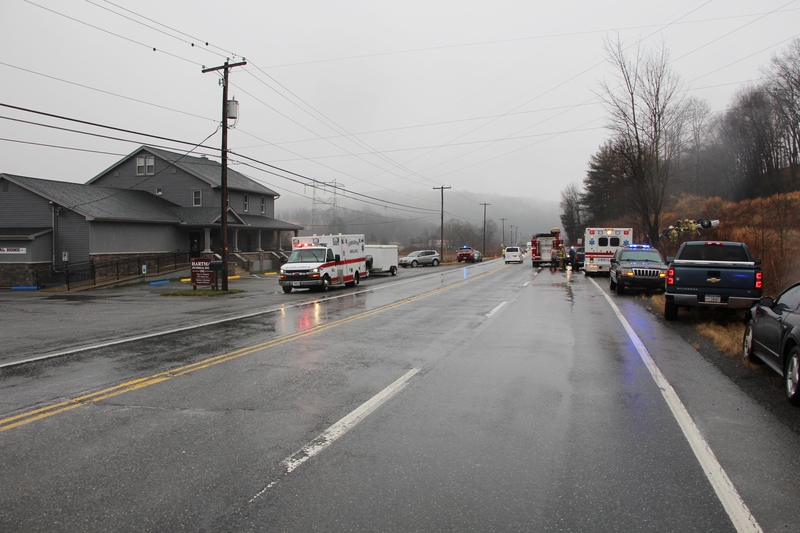 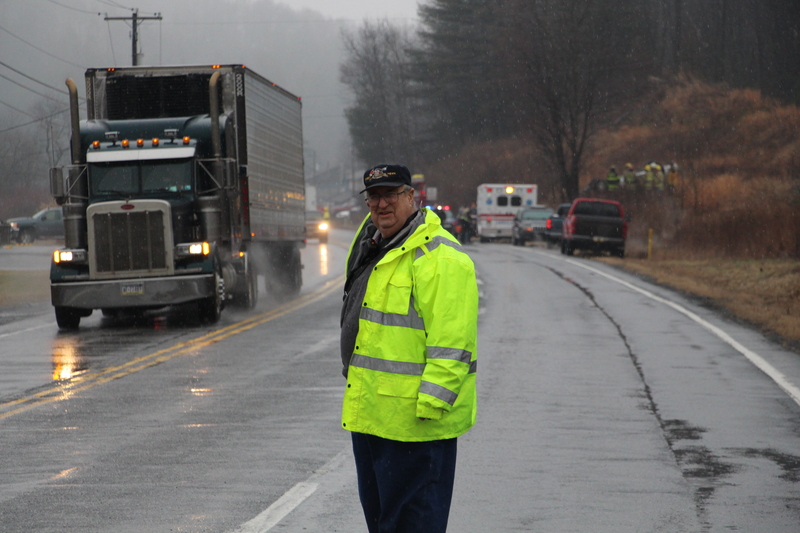 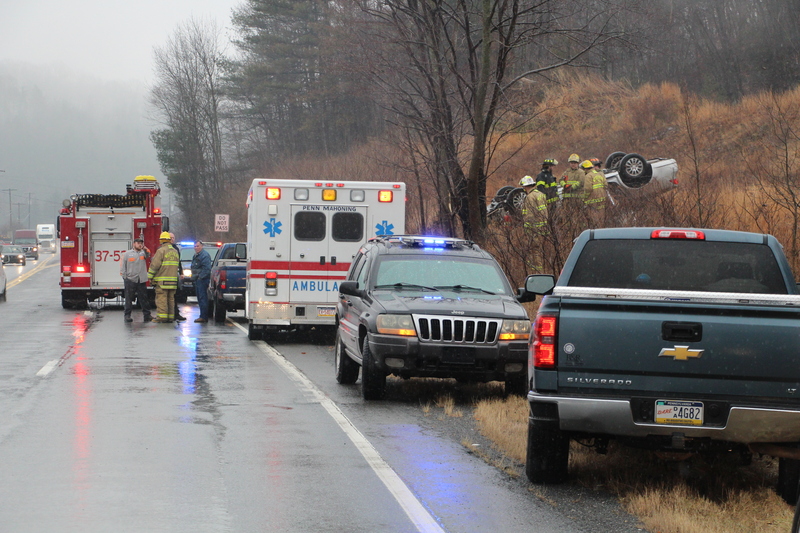 Emergency personnel were dispatched around 1:43 p.m. today to the area of 1791 West Penn Pike (SR309) (near Hartman Funeral Home) in West Penn Township for a vehicle rollover with entrapment. 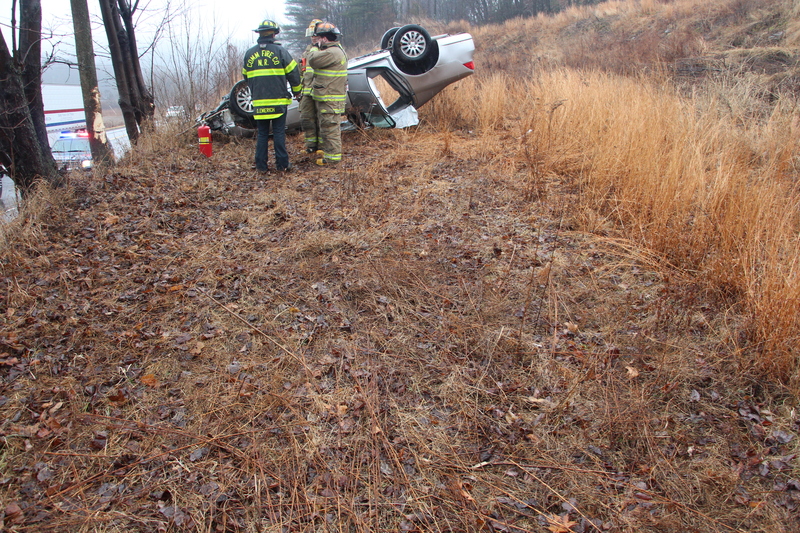 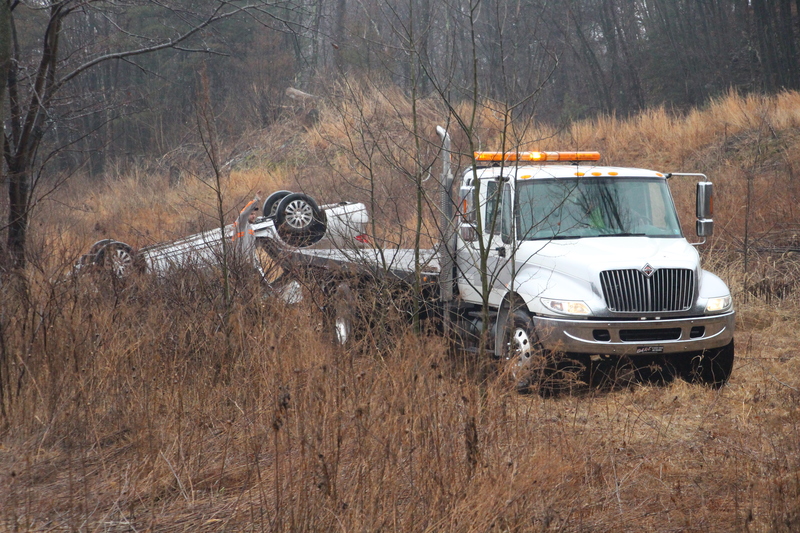 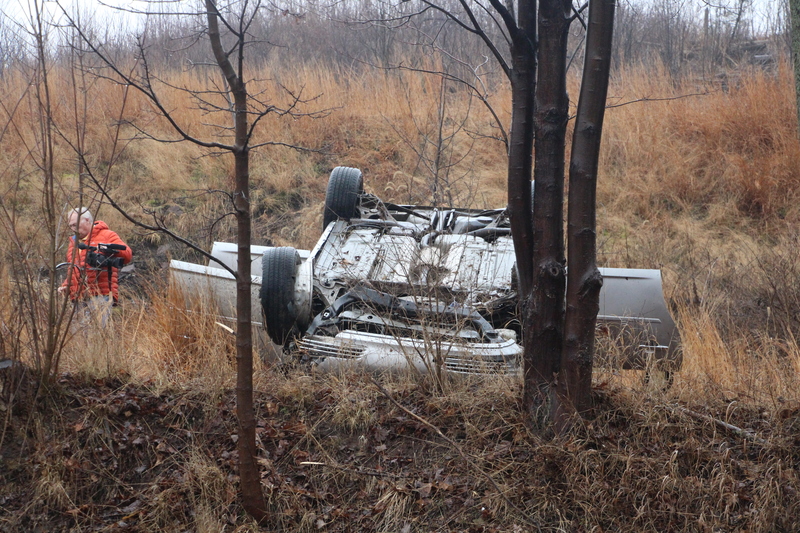 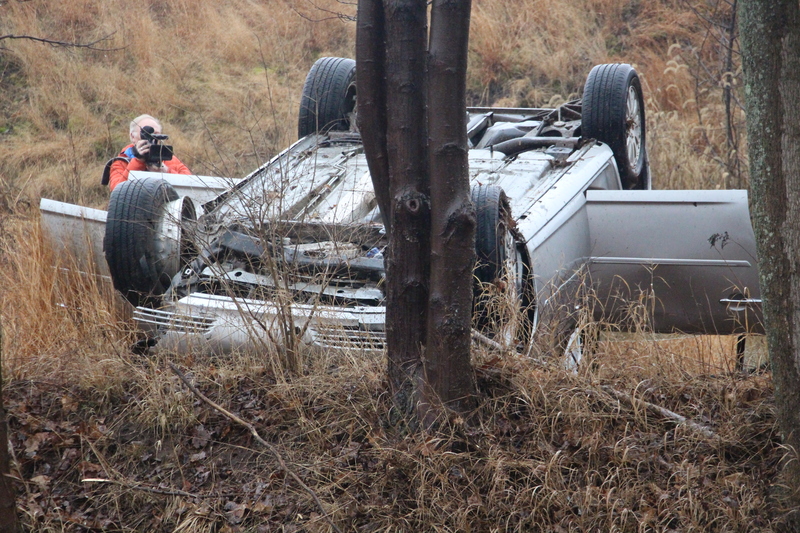 They arrived to see an overturned sedan on a earthen embankment after the driver apparently swerved off SR309 south and drove hundreds of feet up the long gentle embankment where it flipped. 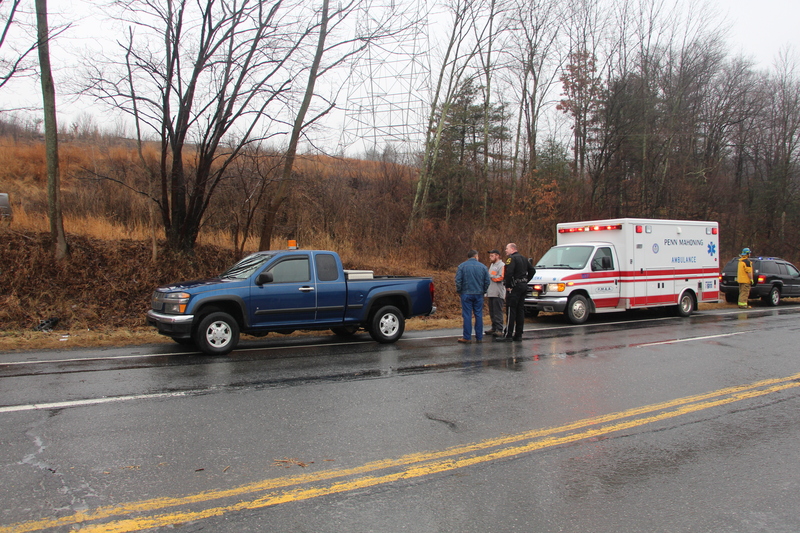 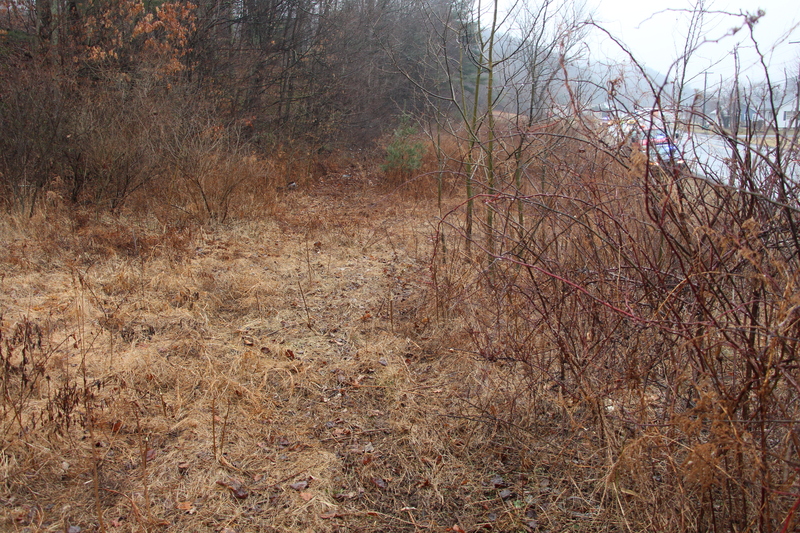 Police Chief Brian Johnson said he was investigating.